In LEGO Star Wars: The Force Awakens, there are many characters that you can unlock with cheats and codes. In our guide, we show you all the available cheats and codes, so you don’t have to waste your time in order to unlock these characters. It is irrelevant which of the three main platforms you use, because these cheats and codes for LEGO Star Wars: The Force Awakens function on PS4, Xbox One and PC. To enter the cheats and codes, you have to select the menu item Tools (extras screen), and then enter the codes. 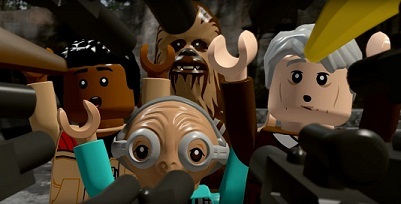 There are over 200 characters await you in LEGO Star Wars: TFA. However, they all cannot be unlocked with cheats and codes so far. Nevertheless, it could be that more cheats codes are being added in the coming days, so you can check this site regularly to see new cheats and codes.